Yesterday was my husband’s birthday. For his celebratory dinner, I decided to take him along with the rest of the family to a local Chinese restaurant. This restaurant has been in our town for many years and yet is not super well known; it’s sort of hidden in a small strip mall. We had a lovely young Chinese waitress who was obviously still learning English. It was a bit difficult to communicate while we ordered, but she repeated everything back to us correctly and went off to her other duties. Very soon, she was back with the first plate of food and said, “Ta Da!” as she slid the platter of steaming Kung Pao Squid onto the table. Needless to say, we found this very funny and had a good chuckle about her enthusiasm. Each time she brought out a steaming plate, it arrived on the table with a “Ta Da!” Some were loud announcements, some very soft, but all so charming. After another “Ta Da!” at the arrival of the last plate, she said she wouldn’t do that anymore, thinking she might be overdoing it. I told her she must give me one more “Ta-Da!” when she brought the bill…and she got my joke. Later we learned her name is Ivy (what she calls herself because we Americans cannot pronounce her beautiful Chinese name). She’s been in America for eight years, has two jobs and longs to go back to college. She shared how hard it is to learn our language and how frightening it was when she first arrived in America not knowing any English. Working in the restaurant allows her to practice her new language on a daily basis. Some of you are concerned because you report to people who aren’t servant leaders. Want to change their thinking about servant leadership? Do “Ta-Da!” work. Go the extra mile. Show everyone that regardless of the work circumstances, you care about what you’re doing. Is what you’re doing “Ta-Da” quality? 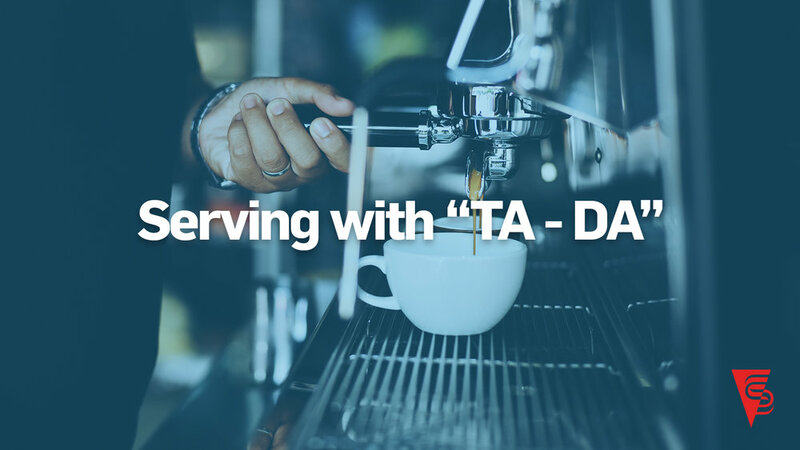 Are you creating an environment where “Ta-Da!” is the expectation? And here’s the really cool part. You don’t have to wait. You don’t need special education or a fancy title. Ivy takes serving others to a new level every time she says “Ta-Da!” as she serves the food she’s proud of. Next Feb 19th and 20th, we’ll hold our annual Servant Leadership Conference. The purpose of this event is to serve you, to equip you through the teaching of our guest speakers and the interactive experiences we’ll offer. We want to help you find a more effective way to lead others where everyone benefits. This is our chance to “Ta-Da!” and we hope you’ll join us.